Wild seafood catch in Russia has increased roughly 25% over the last decade, leveled off in the past few years, and is expected to increase significantly in the coming decade. According to the Russian Center of Fish Monitoring at the Federal Fishery Agency, Russia is the 6th largest producer of wild capture seafood, with a total wild catch of 4.11 million metric tons (mmt) in 2014, a figure comparable to harvests in 2013 and 2012 where total catch was 4.15 mmt and 4.11 mmt, respectively. Official forecasts project catch to increase another 40% above current levels by 2020, up to 6 mmt. The Russian Far East (RFE), where the majority of Russian seafood is caught, has followed similar trends with total catches of 2.69 mmt in 2014, 2.8 mmt in 2013, and 2.70 mmt in 2012. 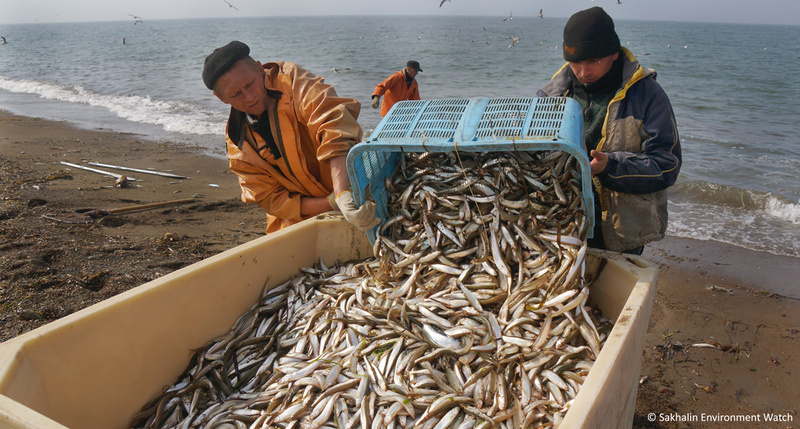 Sakhalin Island in the RFE is home to a fleet of 637 ships and 339 processing facilities and the local administration has reported a steady growth of fish production volumes in the last five years. The Russian Ministry of Agriculture reported a harvest of 590k mt on Sakhalin Island in 2014, an increase of 47k mt compared to 2013 and the highest catch on record. While salmon remains the predominant species harvested in the region the 2014 catch includes 17k mt of saury, 7k mt of squid, 7k mt of pollock, 5k mt of grenadier, 4k mt of scallops, and 2.5k mt of mackerel. After years of research which established squid population biomass to be in the range of 15 - 20 million tons, Russian scientists at the TINRO-Center are optimistic about increasing squid production in the in the Pacific off the Kuril Islands and in the Sea of Okhotsk. Presently most squid is landed as bycatch in these regions, but with growing demand and better scientific data there is potential for commercial harvest. Primary squid populations in order of estimated biomass are the magister armhook squid (Berryteuthis magister), also known as the commander squid, the boreopacific armhook squid (Gonatopsis borealis), the Madokai gonate squid (Gonatus madokai), and the shortarm gonate squid (Gonatus kamtschaticus).